Your eLearning course must be impactful and engaging in order to grab learners’ attention. Museum curators may get all the glory, but effective content curators are the gatekeepers of online knowledge. Content curation can seem like an overwhelming task. How do you sift through all the available material and identify what really matters to your online learners? There are 5 main ways to curate content automatically: aggregation, distillation, elevation, merging, and chronology. How can we use these methods to curate content more effectively? You’ve collected all the content you need for your eLearning course. Now it’s time to sort through all that material and make it easily digestible for your online learners. When you have a big pile of raw content, it can be unclear what’s useful and what isn’t. Is there a thorough way to curate eLearning content into learner-friendly formats? Do your curated online resources make the grade? Are they relevant, relatable, and reliable? The Internet offers a wealth of online training assets. But there’s more to eLearning content curation than simply uploading links to your LMS. Are your curated eLearning resources helping online learners absorb the information more effectively? Or are they yet another distraction to deal with? Have you mastered the fine art of evaluating, organizing, and packaging your curated eLearning content? This free eBook summarizes all you need to know to become a successful content curation expert. Find out about the advantages of eLearning content curation, the online resources that are ideal for curating eLearning content, as well as tips on how to automate the content curation process. You will also learn how to analyze and organize curated eLearning content, as well as the best content curation techniques, so you can restore order to the content chaos. 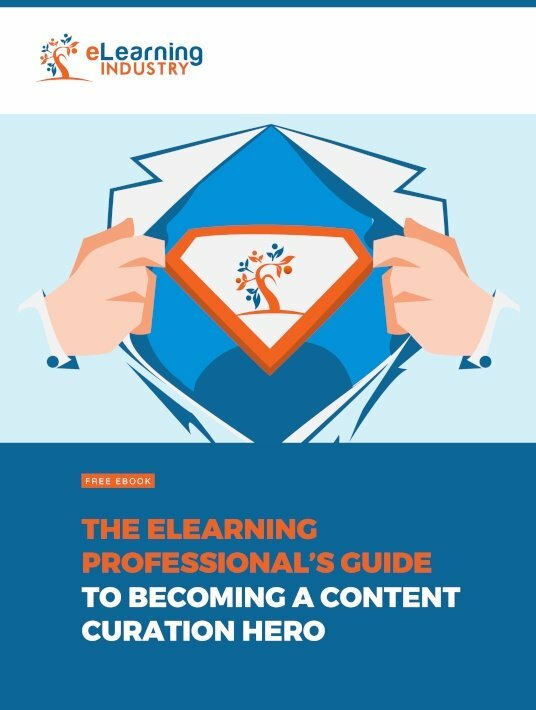 Last, but not least, you will identify the criteria to consider when evaluating curated eLearning content, and you’ll familiarize yourself with the best practices to curate value-added content for your eLearning course. It’s not about how much curated eLearning content you provide, but the value it offers your audience. There’s also the issue of whether it supports your learning objectives and makes the information easier to understand.